In order to take advantage of JSON Feeds feature, when you create an email campaign, you will have to enable the feature. This feature is similar to embedding XML/ RSS feed into email campaign. In order to take advantage of this feature, when you create a campaign, you will have to enable the feature by selecting “JSON Feed” during campaign creation step. 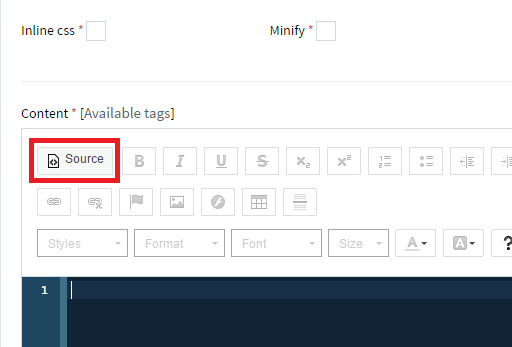 Next, in the campaign template, you will have to add a set of tags that EasySendy Drip (or EasySendy Pro) will recognize and transform into the actual content of the feed. To do this first switch your email template editor to HTML Source mode. 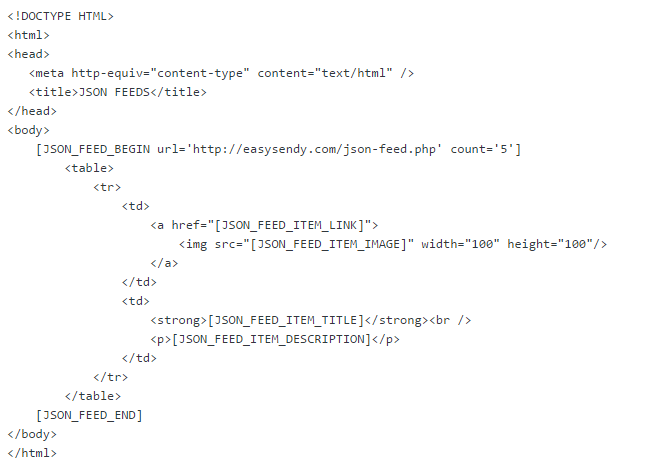 The [JSON_FEED_BEGIN] tag accepts two arguments, url and count.